The Da Vinci Paint Dispenser Gun is an exclusive paint application tool that holds giant 300 ml cartridges of Da Vinci Artists' Oil. Working something like a caulk gun, the trigger-style design lets you create innovative gestural effects and unique impasto textures. Or simply use the gun to dole out large quantities of paint in a snap. 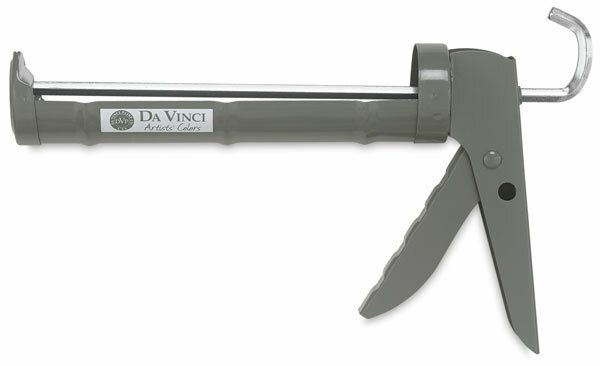 Durable and easy to use, it's equipped with a convenient nozzle cutter and no-drip system.